In today’s SEO industry, your content is always competing for gaining attention. You come up with relevant new ideas, write content, promote it and then keep repeating the process. Then why do you think you have such a tough time to stand out in the competition? This is because you perhaps have nothing to differentiate yourself from the others. You will find everyone saying they publish awesome content thrice a week and will welcome you to read their staff. But if you wish to devise a content marketing strategy which matters, you have to stand out of the crowd. But how are you supposed to do it? There is a term called Content Differentiation Factor (CDF) which can be a standout factor for any brand. Read on to know what it is and how it matters. CDF – What is it? As the name suggests, CDF is your unique perspective in your niche of content which makes you an expert in whatever you write. Your ultimate goal is to be as precise as possible while still telling the story of your brand. As readers love brand stories, they usually don’t wish to read a novel. If you want to design your Content Differentiation Factor, there are few things you have to consider. Analyze who you’re reaching/helping or impacting: Know the pain points of your customers and determine what you can do to create an impact on them. Analyze how to help them in a better way: Know the ways in which your competitors are helping them and you should therefore try your best to deliver better and more useful content as compared to your competitors. Learn the way of creating content which impresses them: You should know the base strategies of promoting content. Locate long-tail keywords which help your company to win with higher search engine rankings. 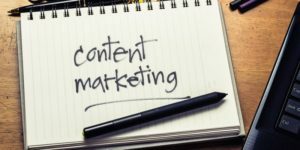 Know why you create content: Know exactly what you want to accomplish through content marketing and know the secret to creating ROI for content marketing. We have already known that features tell while benefits sell! But all benefits are not similar. If you follow the tagline of a shaving kit where they use the words ‘Innovative and affordable’, would they mean their true benefits? Would men really require affordable and innovative shaving items? Instead, if there is another shaving company which advertises to offer you a shave which makes you feel good about the shave without having to pay a huge amount. The second option will be more likely to get attention. This is not a tough strategy to follow as determining your CDF is not too tough if you know who you’re targeting, how and why you’re adopting your content strategy. If you wish to make it extremely easy, you should determine the position of your authority. What does your brand talk about to impact target audience, help them and reach to the intended audience? Find out the way in which you can do it in a different manner than others. What are the real benefits that your brand offers and what is it that can make you stand out in the crowd? So, if you’re wondering about the ways in which you can make your content stand out in the crowd so that you can outshine in the competition, you can take into account the above mentioned strategies mentioned above. Make sure your brand educates the target audience.